I remember summer as a kid and a teenager. All these plans, elaborate bucket lists, road trips, missions trips, sun drenched beach days totally carefree. Now I'm thankful if I get an uninterrupted five minutes to wallow in the sun while intently watching the kids play on the beach. Now that they are seven and four, they might even let me take a nap while they build Legos. These days summer is less about elaborate plans and more about getting through each day with as much outdoor time as I can squeeze in between work and with as little whining as possible. The latter some days completely illudes me. So what do cute jeans and organic yogurt have to do with a satisfying summer as a mom of two? For the most part - both are just convenient, making my life easier! 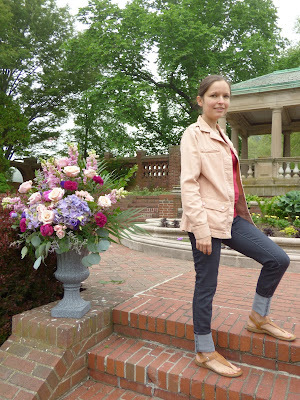 The prAna jeans I'm wearing in the photo above are a new favorite to dress up or down. When in doubt - jeans. Having a comfortable, stretchy, well-fitting wardrobe staple like this definitely makes my summer easier. Maybe not for beach days, but you'll see me at the playground, running errands, or at a client meeting in these classy organic cotton blend Kara jeans. I've tried on countless pairs at the store, none of which I liked. Then I went by the size guide at prAna and received these, fit me perfectly! On a typical day you'll see me in the Kara jean in our kitchen, frantically trying to clean up the after-breakfast mess while thinking of looming deadlines. I will then pause - because dessert is sacred around here. Or so my kids have declared. I'll reach for the Stonyfield Organic Greek Whole Milk Yogurt in our preferred Vanilla Bean flavor. Kids have nicknamed it "better than ice cream". Which says A LOT. I've got hubby totally hooked on it. Okay, I'll admit I am very very weak at saying no at any given time to this particular yogurt. It's that good. My willpower is defenseless. At least I don't have to feel super guilty after it. Yes, it's sweet, but not nearly as much sugar as something else I'd have as dessert! 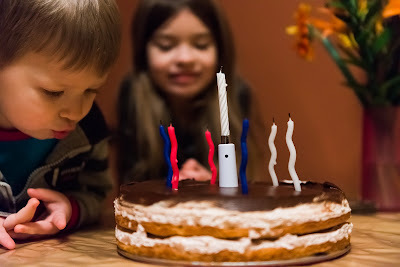 We love it so much, I've even used it as one of the layers in Baby E's birthday cake - it was a hit! What does your satisfying summer look like? Tell us! 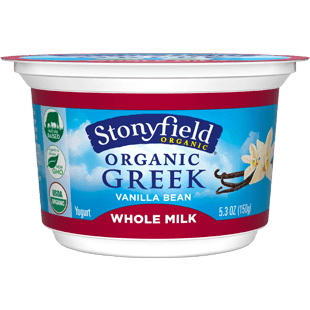 Disclaimer: I was sent the prAna jeans and some Stonyfield coupons so that I could rave to my readers about two of my favorite brands to Eco-Babyz readers.